Pet insurance company Trupanion partners with pet photographer Jim Dratfield to promote pet health in his new pet photography book Dogphoria. Seattle, WA, December 20, 2010 --(PR.com)-- Trupanion, the nation’s fastest growing pet health insurance company, has announced a partnership with pet photographer Jim Dratfield that supports both parties’ commitment to pets. Trupanion’s mission to protect the cherished bond between pets and their families by ensuring that pets are able to receive optimal veterinary care mirrors the spirit of Dratfield’s new pet photography book, Dogphoria. Trupanion is currently holding a promotion where pet owners can win a copy of the new book before the book goes on sale. The promotion encourages pet owners to write a story about being a ‘Tru Hero’ in which the pet owner incorporates their own interpretation of a 'Tru Hero' into a story about their pet. Twenty-five second-place winners will be chosen to receive a copy of Dogphoria and one grand prize winner will also receive a copy of Dogphoria, as well as an iPod Nano. The grand prize winner also receives $500 to give to a charity of their choice. Dogphoria is world-renowned fine art photographer Jim Dratfield’s 11th book, and reveals the true nature of dogs in his unique sepia toned film style. For more information about the ‘Tru Hero’ promotion, visit http://blog.trupanionpetinsurance.com/december-2010-trupanion-giveaways. 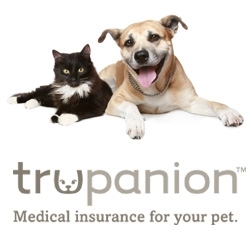 Trupanion™ pet insurance offers cat insurance and dog insurance in the United States and Canada. Trupanion™ is self-underwritten by the American Pet Insurance Company, allowing Trupanion™ to offer a simple, customizable pet insurance policy with no payout limits and 90% coverage of veterinary bills. Enrolled pets receive lifetime coverage for diagnostic tests, surgeries, and medications if they get sick or are injured, with no incident, annual or lifetime limit. Trupanion’s mission is to deliver fast, simple and user-friendly financial support to pet owners. For more information about Trupanion™, call 800-569-7913 or visit http://www.TrupanionPetInsurance.com. Trupanion™ is a founding member of the North American Pet Health Insurance Association (NAPHIA). Founded in 2007, the North American Pet Health Insurance Association is committed to educating and promoting the values and benefits of quality pet health insurance to North American pet owners, the general public, and the veterinary community. As an association, we are committed to high standards and transparency in all of our actions and products. To learn more, visit the North American Pet Health Insurance Association website at http://www.naphia.org. Fine art photographer Jim Dratfield, a world-renowned, celebrated fine art pet photographer, celebrates the fine art of photography through his studio www.Petography.com, specializing in canines, and felines employing his unique beautiful sepia toned film style. Jim, a trained actor (including a small role in Tootsie), has also been the spokesperson for Claritin (Wag Allergies) and MSN.com. A docu-series is now in development with Focus Media, Inc. and Revera Entertainment about Jim and his work. He lives in New York City.